New York City families looking for a fun harvest themed activity, look no further! 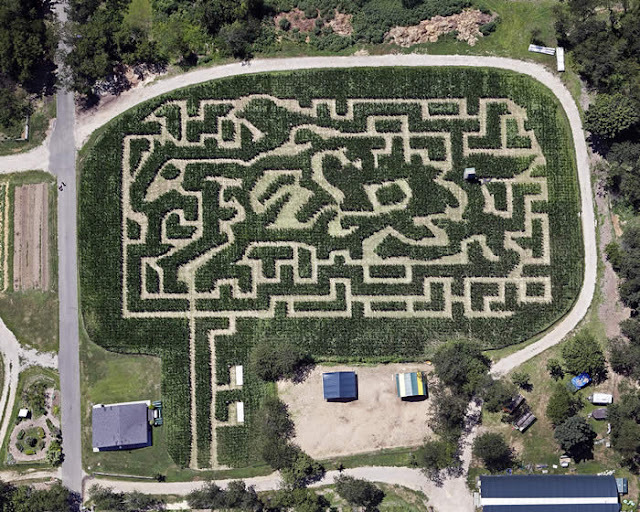 This weekend is the closing weekend of the Queens County Farm Museum's Maize Maze. The 3-acre corn labyrinth starts with a "Stalk Talk" to set you on the right track for finding clues and solving puzzles to make your way through the maze. Adult admission is $9 and children ages 4 - 11 are $5. Come in a group of 10 or more and get a $1.00 off prices. If you come this Sunday, there is also a $5.00 admission fee for the Children's Fall Festival.